Indian economic growth is expected to be 8.50% this year. This is a remarkable rate of growth for any economy. But this rate is dwarfed by the double digit growth rates that China has been producing for the last 10 years. India’s growth rate is expected to accelerate in the coming years, and Morgan Stanley expects that within next three to five years, this growth rate will outpace the Chinese rate of growth. Many economists are now forecasting that India would have the best economic performance among all nations of the world for the next 25 years. Today is the 26th death anniversary of Faiz Ahmed Faiz whose life and works are national assets. Faiz was a torchbearer of the glorious traditions set by great Urdu poets such as Ghalib and Iqbal. Faiz distinguished himself as a proponent of a revolutionary vision, which blended the romance of classical Urdu poetry with the idealism of revolutionary struggles. Faiz’s political ideology provided modern Urdu verse an unprecedented political and romantic expression. Faiz brought Pakistan international acclaim and the world bestowed on him the highest honours, including the Lenin Peace Prize (1962). He has also left a corpus of essays, editorials and commentaries from his years in journalism. This body of work still needs to be fully assessed for its literary dimensions. Faiz’s literary career coincided with the emergence of Pakistan and its unfortunate history of political instability and militarisation, which isolated its majority Eastern wing and resulted in its break-up in 1971. 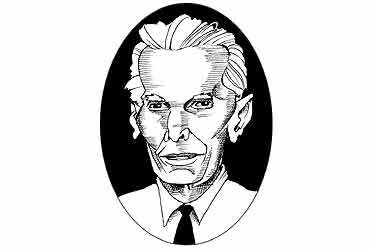 His famous poem ‘Yeh Daagh Daagh Ujala’ remains an apt comment on the creation of a ‘moth-eaten’ Pakistan, which continues to grapple with issues of identity. 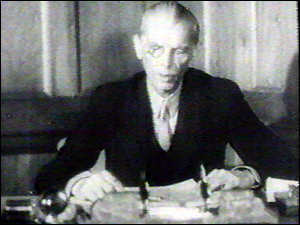 The Pakistani state treated him shoddily as he remained under arrest for extended periods or in exile. This is partly a continuation of my earlier article “Was Jinnah secular?” but mainly a response to a letter posted by Moin Ansari addressed to Mr. Najam Sethi called “refuting Mr Sethi’s blasphemy” in response to a TV show the latter did on the distortion of history in Pakistan. The recent incident where a Pakistani cricketer, Zulqarnain Haider went missing in Dubai, and surfaced in London, should not surprise any one at all. In the wake of a full blown undercover sting, done by a British tabloid, where Pakistani cricketers allegedly participated in a match fixing scam, anything is expected from our national heroes.